Note how much of the bus is in the cycle lane. A few weeks ago the above bus driver seemed to be driving so close as we headed in the same direction, I sped up to make the amber lights safely. Stopping did not seem like a good idea when he seemed too close for comfort. For some reason the driver beeped aggressively at me after he stopped. So I safely pulled over to see what was worth distracting me while I was trying to get through the junction. The driver told me I should have been in the cycle lane. But he does not seem to be able to keep out of the cycle lane with his bus and I was cycling a rather large cargo bicycle. But this is bus driver logic we’re talking about. 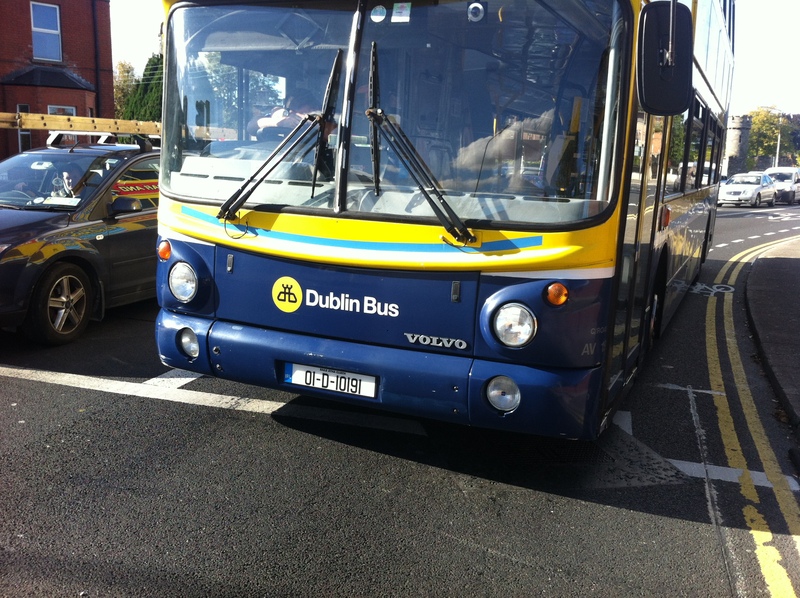 It’s worth saying that the bulk of Dublin Bus drivers are far better drivers than this one, but some drivers have an illogic problem with cyclists. The bus was out of service, so he could have been in a rush home.